The Early Cancer Detection Program offered through the Center for Women’s Health at COEM has performed several thousand Breast Thermography screenings over the past 14 plus years. Breast Thermography is one of the most important screening tools available for breast cancer risk assessment and early detection. Dr. Lieberman has been practicing medicine for 58 plus years. He received his M.D. from Chicago Medical School in 1960 and continued training at Mount Sinai Hospital in Chicago in the practice of General Medicine, and at Children’s Memorial Hospital in Pediatrics and Pediatric Pathology. He practiced Pediatrics for 16 years but became interested in Environmental Medicine when he found many of his patients’ symptoms were environmentally provoked. In 1978, he built the Center for Occupational and Environmental Medicine in Charleston, SC and broadened his practice to provide a more comprehensive, preventive medicine approach. In 2003, he founded the Early Cancer Detection Program at the Center for Women’s Health at COEM and became the first medical facility in South Carolina to offer Breast Thermography. Dr. Lieberman is certified by the American Board of Environmental Medicine and is a Fellow of the American Academy of Environmental Medicine. He is a member of the American College of Occupational and Environmental Medicine. In 2002, he was awarded the Herbert J. Rinkel Award for Academic Excellence and Achievement in Environmental Medicine. In 2010 Dr. Lieberman was honored by the South Carolina General Assembly by Resolution on March 24th, 2010 for his outstanding service as a physician and his contributions to the people of the great state of South Carolina. Dr. Weirs is in his second year of practicing Environmental Medicine and is a fellow-elect in the American Academy of Environmental Medicine. 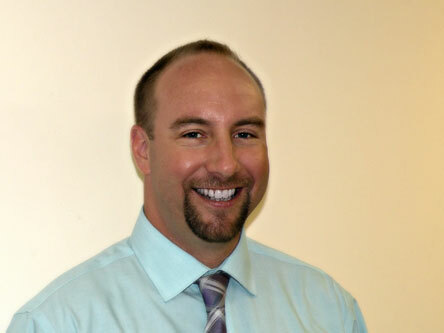 He is also a fellow-in-training with the Center for Integrative Medicine at the University of Arizona. Dr. Weirs is board certified in Emergency Medicine, having practiced for over 10 years, gaining valuable exposure to many different kinds of patients and clinical problems. He is also a fellow in the American College of Emergency Physicians. Dr. Weirs has attained certification in Age Management Medicine from Cenegenics. His bachelor's degree in Psychology, as well as a second degree in Outdoor Education, are from Georgia College & State University. Dr. Weirs earned his medical degree from Mercer University School of Medicine in 2003. Dr. Weirs utilizes many different nutritional therapies including nutritional supplementation, diagnostic testing to confirm the identity of problem areas, and nutritional counseling leading to a total holistic approach to wellness through the eating habits and choices we make. Dr. Weirs' interest in environmental medicine and the treatment of allergies, as well as the prevention of illness with nutrition, are the direct result of his own severe environmental allergies, asthma, and atopic dermatitis from a very young age. An avid reader, he was exposed to the concepts of food allergy and despite having controlled his allergies with weekly shots and traditional medications, including steroids, he still suffered from eczema. His own personal research led him to the concept of dairy allergies in particular, and by elimination of the same his eczema cleared up completely. Dr. Weirs believes that each person is a unique individual. In his own words, 'All humans have similarities, but we are each biochemically unique. The perfect diet and environment for one person may not be perfect for someone else.' His goal is to help his patients achieve optimal health by optimizing their personal wellbeing by controlling their exposures to environment and through proper nutrition. Dr. Bettina Herbert is a Medical Doctor and a Fellow of the American Academy of Physical Medicine and Rehabilitation. In 2015 she became Board -Certified in Integrative Medicine, in the first ever class certified by the American Board of Integrative Medicine from the American Board of Physician Specialties. 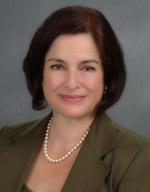 Dr. Herbert received her medical degree from Michigan State University College of Human Medicine, simultaneously studying at the MSU College of Osteopathic Medicine, and completed her Residency in Physiatry (Physical Medicine and Rehabilitation) at Thomas Jefferson University Hospital in Philadelphia. In addition, Dr. Herbert was named a Bravewell fellow to the Program in Integrative Medicine at the University of Arizona, founded by Dr. Andrew Weil, and is a Certified Functional Medicine Practitioner. She is a fellow-elect of the American Academy of Environmental Medicine. For over six years, she led the Integrative Pain Program at the Jefferson-Myrna Brind Center of Integrative Medicine where she saw many patients with chronic and complex illnesses and pain syndromes. Since 2006, Dr. Herbert has been on the faculty at Jefferson University Hospital in Rehabilitation Medicine. She also serves on the faculty for the University of Arizona's Center for Integrative Medicine, where she headed the team that created their inaugural curriculum in Integrative Pain Management. She is a regular guest instructor at several universities, has contributed to integrative medicine textbooks and is an active writer and public speaker. Dr. Herbert has also been in private practice since 2006, providing medical services in physical, integrative, functional and osteopathic medicine. She was the Director of Functional Medicine at the Tao Institute of Mind and Body Medicine from 2008 until joining COEM in September 2014. Dr. Herbert was recruited to join the Center for Occupational & Environmental Medicine to expand the clinical services offered to our patients as an integrative addition to our current treatment programs. She chose COEM because it gives her the opportunity to work with other like-minded physicians, to deepen her knowledge to help chronically ill patients by learning from Dr. Lieberman and to further expand her use of Environmental Medicine, many aspects of which she had already been using. COEM's resources expand the treatment options she can offer patients who are ill and those seeking preventive care. Philosophy: My goal is to work with patients to help remove the barriers that are keeping them from regaining their own health. You are seen as a whole person who happens to be suffering from pain or illness. You are not, for example, a "diabetic," rather you are a human being whose body is reacting to something by responding with diabetic illness. Together we will look for and address the underlying reasons your body may be expressing these symptoms. These might be a combination of nutritional deficiency, poor digestion and absorption of nutrients, infection, modifiable genetic variations, and toxin or mold exposure, injury still lodged in the body/brain or abnormal stress. Working together in a true partnership, the ultimate goal is relief of your symptoms such as pain, fatigue or systemic illness to put you back in charge of your own health. Most patients have had chronic issues, sometimes for decades. Integrative treatments take time as, instead of covering up symptoms, they seek to correct biochemical imbalances, remove systemic toxins and bring the body and mind into more harmonious alignment. Obstacles to regaining health will be minimized and your intrinsic vitality and health will be supported and strengthened. Our mission is to provide women with a safe, painless, and effective screening tool, which will allow for the earliest possible detection, treatment, and intervention of breast cancer. We strongly encourage women to take responsibility for their breast health into their own hands and learn more about the dietary, nutritional, lifestyle, and environmental changes which they can make to decrease their risk of breast cancer. We also provide women with nutritional protocols that have proven successful in reversing abnormal changes in breast tissues detected through Breast Thermography screenings.